Golf is a favorite outing among various leaders and professionals, a way to relax, have fun, and network. 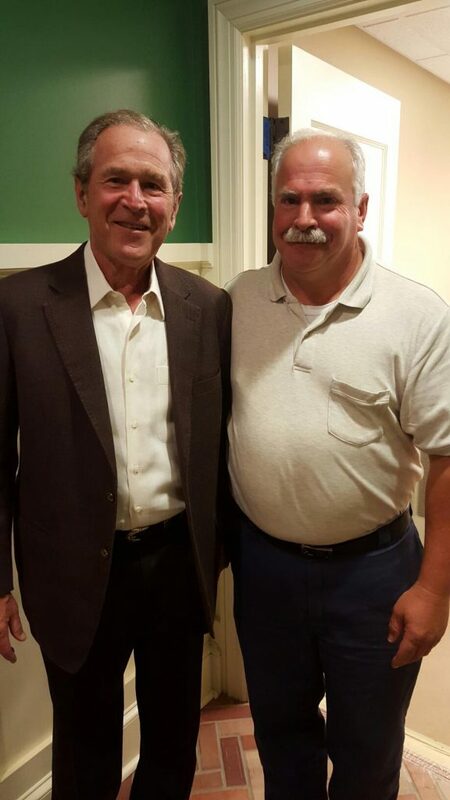 Landau superintendent Emory Lukacs was finishing up the last touches on renovations to the fitness and Pro Shop at Allegheny Country Club when none other than former President George W. Bush arrived for a day of golf! That’s right, the former president of the United States visited the historic country club – and therefore our job site! This article was posted in Landau News and tagged Allegheny Country Club, George W. Bush, Landau Building Company. Bookmark the permalink. Follow comments with the RSS feed for this post. Both comments and trackbacks are closed.